Yup, only 2 ingredients in this cocktail. This is not a cutesy drink in honor of Valentine’s Day weekend. After sampling this cocktail, it made perfect sense that it had been created by the British Royal Navy. Some say they were trying to find a way to make Angostura bitters more pleasant to drink, since the bitters had been shown to ease seasickness. My guess is that someone on a boat in the middle of the ocean wouldn’t argue much when it came time to receive his booze ration. Regardless, the Navy brought the idea to bars in Britain and it stuck. I’ve seen several variations of this cocktail; some are 1 part gin to 1 part bitters, some are topped off with iced water or tonic, some suggest a lemon peel garnish. 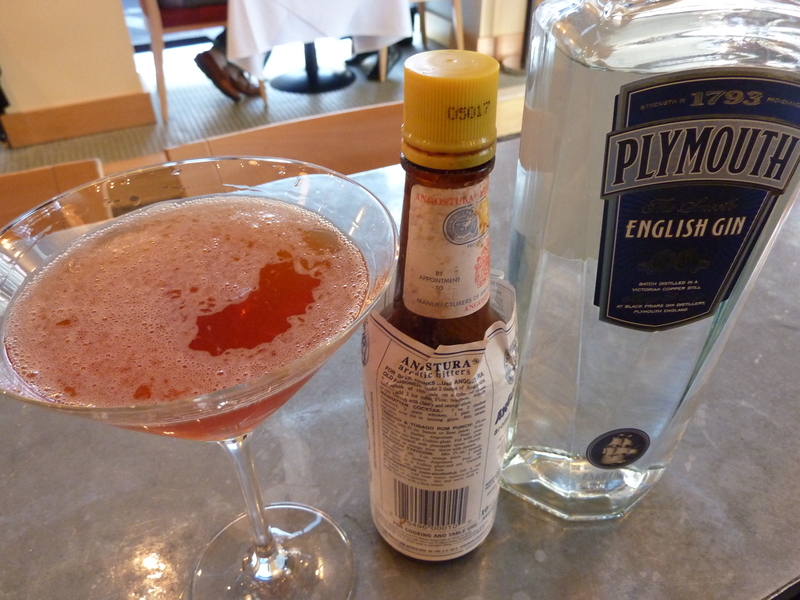 If a bartender asks you if you’d like it “in or out”, the “it” (you dirty bird) is the bitters – picture swirling vermouth in your glass before dumping it out while making a martini. Shake with ice and strain. No garnish. I happen to like both gin and bitters, yet I bet some of you are cringing upon reading this recipe. Something pretty special happens when you mix these two, though, and I suggest you give it a shot.